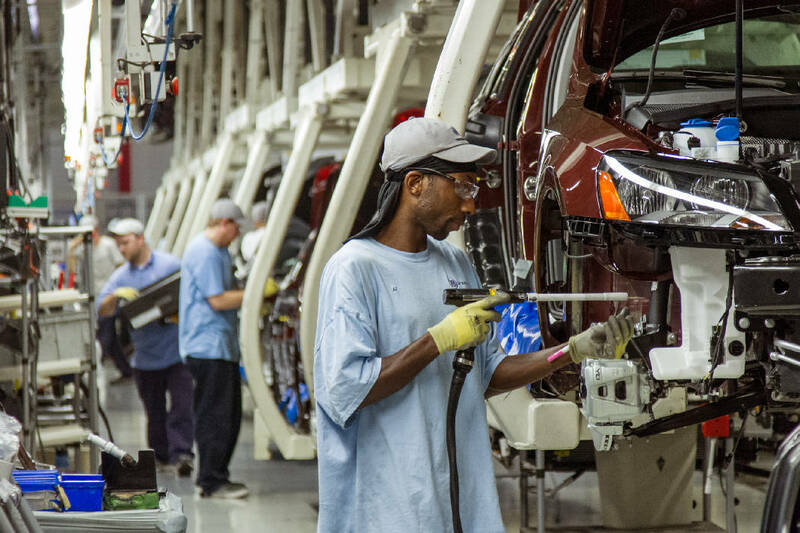 Germany's largest trade union is opening a joint office with the United Auto Workers in Tennessee to promote labor issues at German automakers and suppliers in the southern United States. Frankfurt-based IG Metall estimates that 100,000 people work for German-owned automotive companies in the U.S. Unlike at their parent companies' factories in Germany, most of the U.S. workers aren't represented by unions. "IG Metall believes some German manufacturers are exploiting low-wage environments in the U.S. South, where working conditions - including health and safety situations - tend to be challenging for employees," according to a statement obtained by The Associated Press in advance of the official announcement of the new joint office scheduled for later this week. The move has been in the works for months, but comes against the backdrop of scandal at Volkswagen, which has been the UAW's chief target among foreign automakers in the U.S. Volkswagen has admitted to cheating on U.S. emissions tests, creating an air of uncertainty at all of its facilities, including its lone U.S. plant in Chattanooga. The growing cooperation between the UAW and IG Metall is unlikely to be seen as a welcome development among anti-labor Republicans in the South, who argue that a union expansion in the auto industry would hurt future recruiting efforts, especially among Asian companies. The new office will be located near the General Motors plant in the Nashville suburb of Spring Hill.